Product Overview Email, file, SharePoint, and similar critical apps must scale easily over time while remaining both highly protected and easily manageable. That’s where the MegaRAID® SAS 9341-8i 12Gb/s SAS and SATA RAID controller card can add real value. Designed for small and medium businesses (SMBs) with tower and rack-mounted servers, it provides the headroom required for future growth at an affordable price point. MegaRAID SATA+SAS entry controller cards allow small to medium business (SMB) owners and gaming enthusiasts to enjoy the latest RAID technology at affordable prices with low power consumption. This product line delivers trusted MegaRAID reliability with minimal maintenance effort. MegaRAID entry controller cards offer users a straight-forward solution that includes essential RAID levels and uncomplicated configuration options. 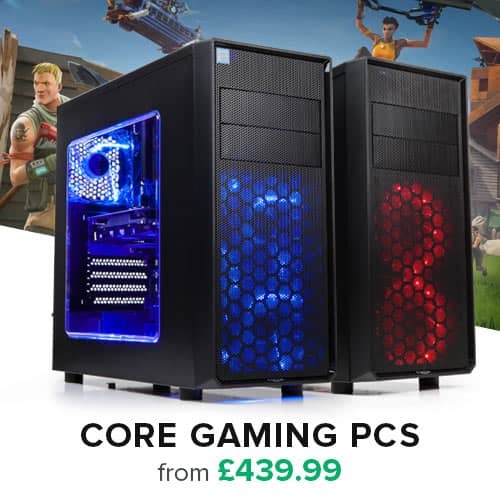 In addition, they are able to connect to combinations of SATA and SAS hard disk drives and solid state drives, allowing for storage configurations that optimize cost, performance and robust data protection. Along with an extensive list of enterprise RAID capabilities, the 9341 series now offers advanced drive diagnostic technologies. In the event of a physical drive failure, the drive is placed in a shielded state and the MegaRAID controller starts drive diagnostics to determine if the drive is indeed failed or can be restored. This saves customers time, money and lost compute time associated with transient drive failures and unnecessary drive returns. A unique feature of the MegaRAID SATA+SAS entry line is the ability to migrate from these simple, yet powerful RAID 5 controllers to the more full-featured MegaRAID product lines. Users can simply plug in a new controller to recognize and import the existing array without requiring any reconfiguration. Plus, a single management client provides a consistent user interface to manage any MegaRAID SATA, SAS or SSD array. 12Gb/s SAS is designed for backward compatibility with 6Gb/s and 3Gb/s SAS and SATA hard drives. Regardless of the drive speed, 12Gb/s MegaRAID controllers will deliver significant performance improvements in both read and write applications compared to their predecessors. Features • Connect up to 64 SATA or SAS drives in non-RAID (JBOD) mode or 32 drives in RAID mode with eight internal 12Gb/s SATA and SAS ports. 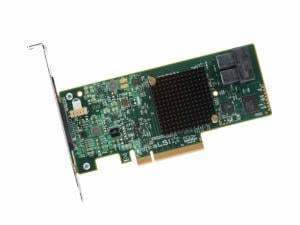 • Support high-bandwidth applications with PCIe® 3.0 connectivity. • Fit into 1U/2U rack-mounted servers and compact servers with low-profile form factor. • Balance protection and performance for critical applications with RAID levels 0, 1, 5, 10 and 50. • High performance with 12Gb/s data transfer rates. • PCI Express® 3.0 host interface drives superior system performance. • Delivers robust, yet simple RAID functionality. • Flexible SATA+SAS array architecture optimizes cost. • Includes JBOD Mode support. • File, Web, database and email servers. • Direct-attach, internal SAS or SATA hard disk drives (HDDs) and solid state drives (SSDs). • High volume, “warm data” access. • Eight internal 12Gb/s SATA+SAS ports. • x8 PCI Express 3.0 host interface. • Two x4 SFF-8643 mini-SAS HD internal connectors. • LSISAS3008 PowerPC 476 controller @ 1.2GHz. • RAID 0, 1, 5, 10, 50 and JBOD mode. • Supports up to 64 devices in JBOD mode. • Up to 32 physical devices in RAID mode. • Powerful device monitoring and maintenance capabilities.